Looking for a classic cocktail made with finesse using the best quality alcohol? A trend-led cocktail or a great whisky? The concept of Fifty Fifty is to offer delicious craft beers (artisanal beers from France and international regions, 3 on tap and a handful of bottles), a vast choice of rums, mezcals, absinthe and other spirits, as well as high end cocktails made by passionate mixologists. Add two or three tapas made from fresh products (cured meats from the Corsican mountains, ceviche from St Jacque, depending on the day) for a snack or to pair with your choice of drink. The organic chestnut stout from the Ribella microbrewery goes wonderfully well with tapas. The mood is like a speakeasy without being one (candlelit, retro sofas and deco) - blues sound, jazz at during the week and blues/rock at the weekend. 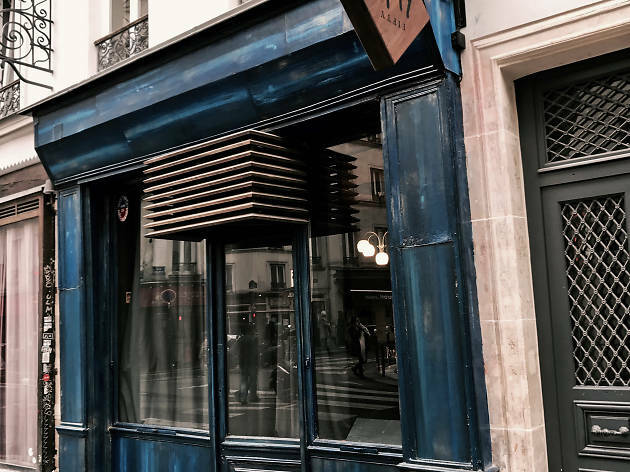 While this might usually be found in the Marais or Pigalle, Fifty Fifty offers something different for this corner of the 11th arrondissement near Oberkampf/Jean Pierre Timbaud.